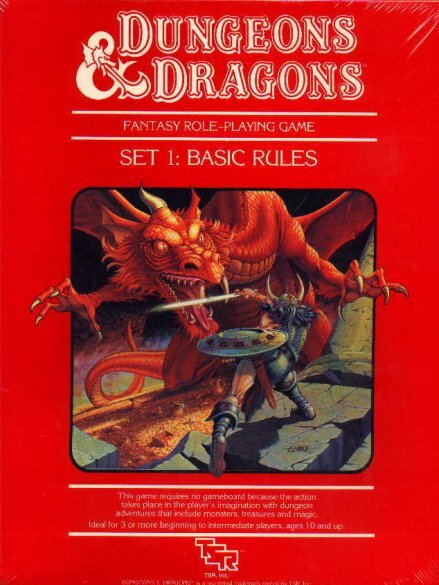 The first real Dungeons & Dragons product I owned (apart from Endless Quest books, I suppose) was the Basic Rules “Red Box” set, pictured above. I distinctly remember driving to my local Waldenbooks to purchase it with some hard earned lawn-mowing money. According to this ad from the time over at Grognardia, the total cost was likely just under $10. This modest sum was easily the best money I have ever spent in my life, providing me a lifelong hobby that set my imagination on fire and sparked my creativity in a way nothing else ever really has. As I’ve discussed here before, I had watched the D&D cartoon and played a bit of the original Ravenloft during recess at school. My interest in D&D was quite high, already, but when I saw that glorious cover image for the first time, I was totally enthralled. That dragon is huge, and check out those claws and teeth! Look at all that treasure lying around, it’s like the ground is carpeted in gold. And how brave this warrior must be to take on such a powerful foe alone! The sword, the shield, the awesome horned helm, and best of all, the fact that you couldn’t see the fighter’s face.. that could be me! It was too much for my 11-year-old mind to take. I had to know what was inside this tantalizing scarlet box. You could pick up any book off the shelf, stand there, and sample it for a while. But this was a boxed set, wrapped in an unassailable plastic barrier. The thrill of the unknown, of all the secrets of playing this mysterious game, added even more to my desire to own it. After a couple of weeks mowing the grass, my dad provided the cash and a trip to the store, and I finally had it in my likely trembling hands. I couldn’t wait any longer; on the car trip home, I opened the box began to read the books inside voraciously. I marveled at the odd dice, and wondered what the crayon was for. For weeks, I poured over every page of both the DM’s and player’s books, reading important parts over and over. The sheer amount of content was amazing. The illustrations were phenomenal. I was totally hooked on Dungeons & Dragons, and would play it in some form for over a decade. Last fall, I picked up the Castle Ravenloft board game, and it piqued my interest in D&D again. While killing some time at my friendly local gaming store one afternoon, I decided to look at the used RPG section. Lo and behold, there they were: a copy of the DM’s Book and the Player’s Book from the very set I had loved so much in my youth. $3 each, and in decent enough condition. I grabbed them, and spent the next few hours in a comfortable haze of nostalgia. The new Essentials Red Box came out shortly thereafter, and just like that, I was back into playing D&D regularly again after fifteen or so years. Looking through the Basic Set books now is an interesting experience. Every page brings back some memory. I’m struck by how well the books do what they are supposed to do: spark a new reader into becoming a dedicated player. The introductory solo adventures, laid out very much like a Choose Your Own Adventure book, were a good way to introduce the concept of D&D to a newbie. 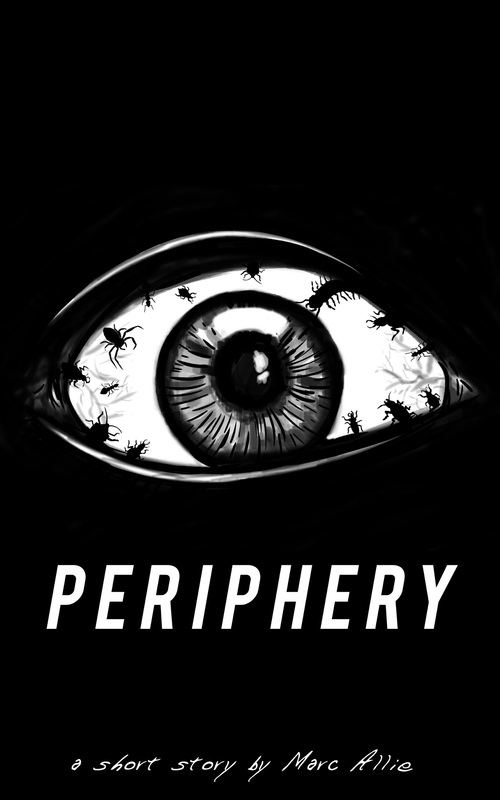 The progression of terms and gameplay elements in these adventures is very smooth, and quite logical, naturally building from one to the next. Classes first, then ability scores, followed by hit points, the attack roll, then saving throws, and so on. The story of the first adventure, with a beautiful cleric, hideous ghouls, and a foul magic-user named Bargle, was intriguing. After the tragic ending of that tale, the second adventure was more open-ended, with many different options, and I remember playing through it over and over again. 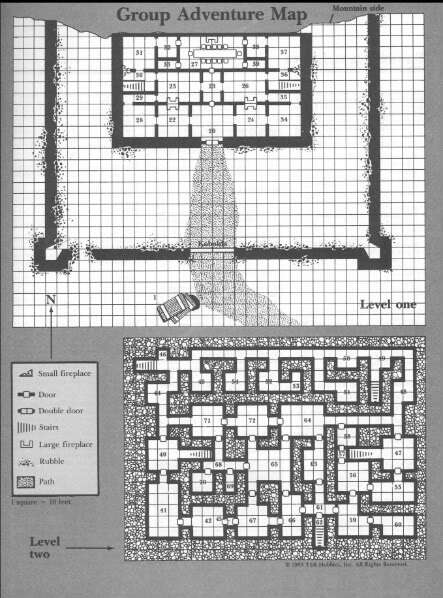 Mapping out the dungeon was a key skill, and it was full of classic foes like rats, goblins, skeletons, and of course the dreaded rust monster, a level 1 fighter’s worst nightmare. By the time you played through both these adventures, you were quite ready to create your own new character to go dungeon crawling again! 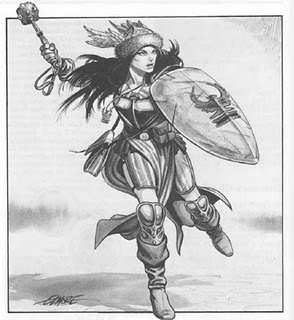 The picture above, from the cleric class description, is one of my favorites. She looks tough, ready for anything, like someone it would be dangerous to mess with. The scrapes on her shield and armor indicated she was a veteran dungeon crawler. Many old-schoolers prefer the quirky, almost trippy art of Erol Otus and the other early D&D talent, but I’ve always had a soft spot for Elmore and Easley. Their work literally defined my expectations of what fantasy as a genre really was. The Red Box is full of black and white illustrations by these two, and this only adds to my appreciation of the set. The Dungeon Master’s book was what really inspired me. The sample dungeon provided just enough scaffolding and assistance to guide a new DM, but still allowed for plenty of customization. After all, you were to create the third level of the dungeon yourself, including the final confrontation with the hated wizard Bargle. Dozens of creatures, from the mundane to the monstrous, were available in the back of the book, with full stats and descriptions. I don’t know exactly how many dungeons I planned out on sheets of graph paper using the guidelines in this book, but I’m sure it was far more than I ever had the chance to actually run through with players. 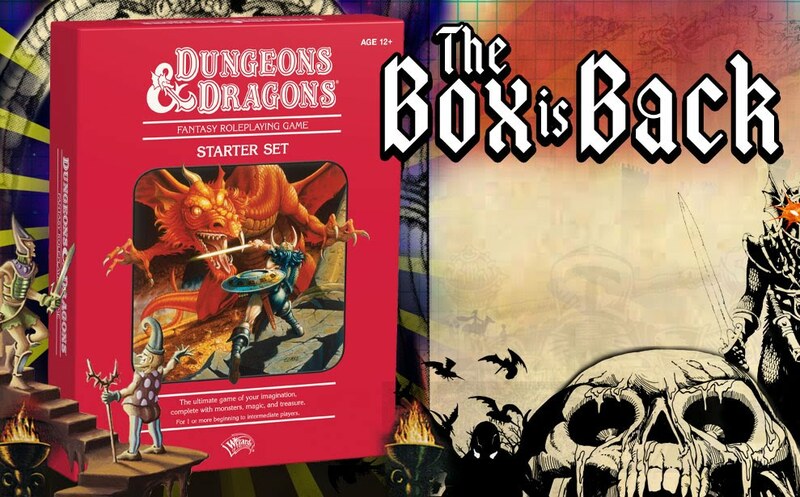 The Basic Red Box is probably my favorite Dungeon & Dragons product of all time. It paved the way for my journey through the Expert, Companion, and Master sets, and then on to 2nd Edition AD&D, with side tours through Ravenloft, Dragonlance, and Dark Sun. Even after my hiatus from playing D&D, the Red Box played a big role in getting me back into the game again. Copying the look and feel of this set to introduce Essentials was a brilliant move. If the intention was to get lapsed D&D fans to return to the fold, in my case, at least, it was a smashing success. It’s amazing how much pleasure and fun I’ve had over the years from this game, and it all started with this little Red Box. This entry was posted in D&D, DM Advice, Dungeons & Dragons, Roleplaying and tagged Basic D&D, D&Development. Bookmark the permalink. You had a very similar path through D&D as I did. Got the Redbox for my birthday, bought the Expert Set 2 weeks later (which started my habit of buying D&D product well before I used it…if I ever did). Then eventually AD&D 2nd Ed with stopovers in Forgotten Realms, Spelljammer and Dark Sun.